Orthodontic force causes gradual compression of the periodontal ligament tissues, which leads to local hypoxia in the compression side of the tissues. In this study, we investigated whether antioxidants exert a regulatory effect on two factors: the expression of pro-inflammatory cytokines in human periodontal ligament fibroblasts (PDLFs) that were exposed to mechanical compression and hypoxia and the rate of orthodontic tooth movement in rats. 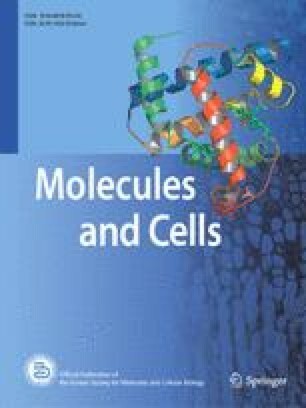 Exposure of PDLFs to mechanical compression (0.5–3.0 g/cm2) or hypoxic conditions increased the production of intracellular reactive oxygen species. Hypoxic treatment for 24 h increased the mRNA levels of IL-1β, IL-6 and IL-8 as well as vascular endothelial growth factor (VEGF) in PDLFs. Resveratrol (10 nM) or N-acetylcysteine (NAC, 20 mM) diminished the transcriptional activity of hypoxiainducible factor-1 and hypoxia-induced expression of VEGF. Combined treatment with mechanical compression and hypoxia significantly increased the expression levels of IL-1β, IL-6, IL-8, TNF-α and VEGF in PDLFs. These levels were suppressed by NAC and resveratrol. The maxillary first molars of rats were moved mesially for seven days using an orthodontic appliance. NAC decreased the amount of orthodontic tooth movement compared to the vehicle-treated group. The results from immunohistochemical staining demonstrated that NAC suppressed the expression of IL-1β and TNF-α in the periodontal ligament tissues compared to the vehicle-treated group. These results suggest that antioxidants have the potential to negatively regulate the rate of orthodontic tooth movement through the down-regulation of pro-inflammatory cytokines in the compression sides of periodontal ligament tissues.